Plant Parties are the best parties! 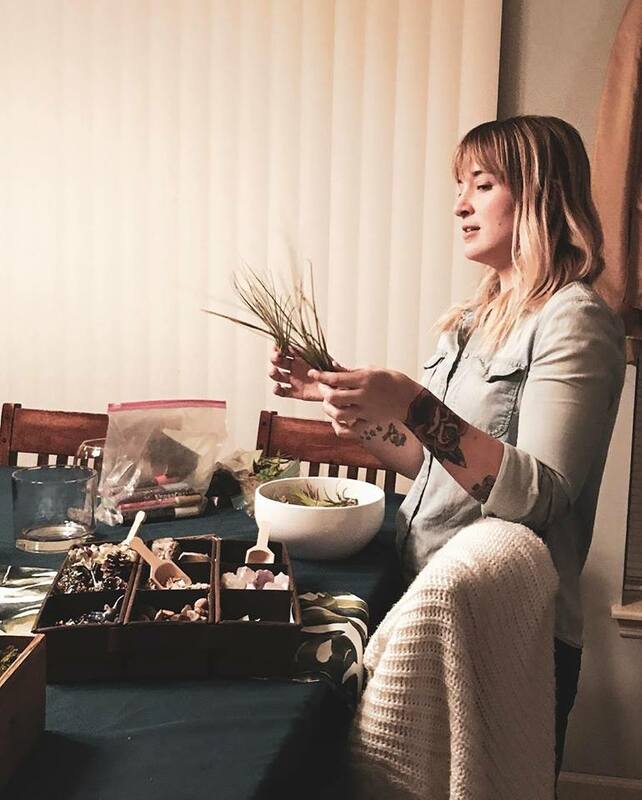 Invite your friends over and get your hands dirty making succulent arrangements or air plant terrariums. Contact us today to schedule your own Plant Party! What’s A Plant Party? Only the best kind of party! Invite your friends, family, neighbors, crazy plant ladies, great aunts, grandmas, husbands, nephews anyone! Plant Parties are fun for all ages. 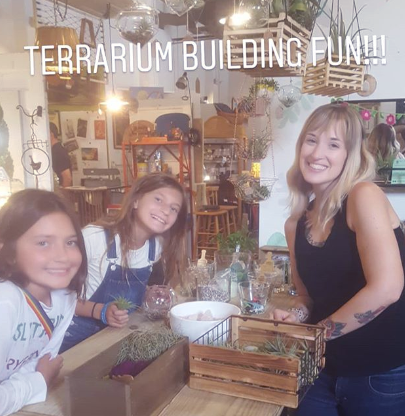 We’ll learn about taking care of our air plants or succulents first then we’ll walk through how to build your own air plant terrarium or succulent arrangement. How Much Does It Cost? 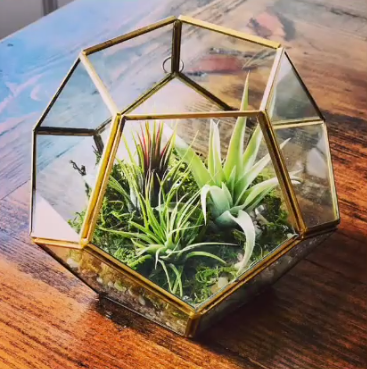 $55 Per Person for a succulent arrangement or air plant terrarium. Cost includes choice of multiple plants, container, decor, care cards, stickers and other plant goodies. Discounts for parties of 10+ people and corporate/business events. Just ask! Kids Parties start at $35 per child under 12. 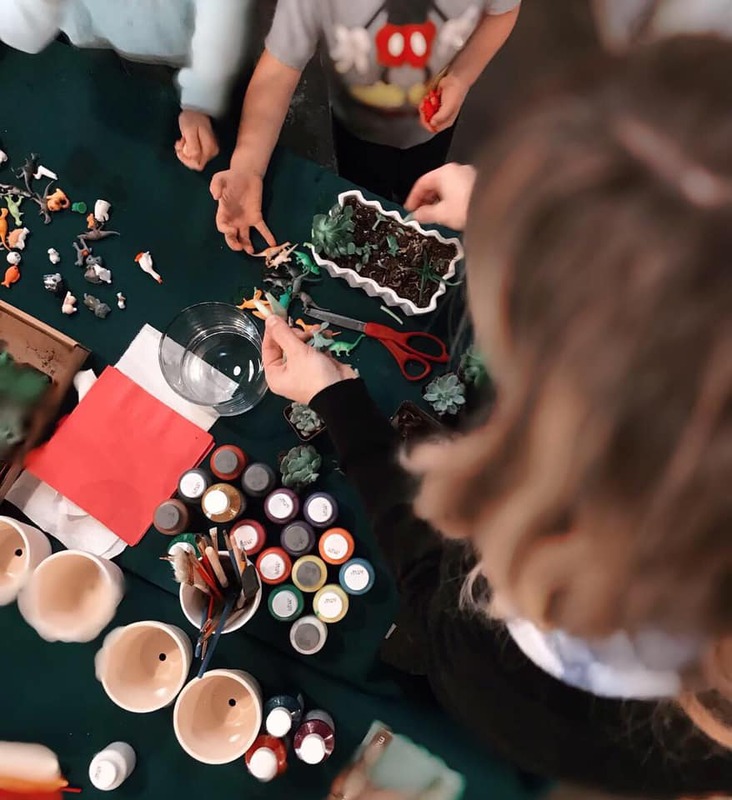 Kids arrangements or terrariums are a little smaller, different decor like dinos or toys, and no glass options. Can I Put Succulents In My Terrarium? You can, but we don’t recommend it. Succulents need drainage and air circulation. Glass containers without drainage holes hold in moisture, which is a succulent’s worst nightmare. We want to set you up for success in Plant Parenthood so we won’t get you started on the wrong foot. Air Plants thrive in those beautiful glass containers. Succulents prefer porous containers and quick draining soil. Adding rocks or charcoal just wont cut it long term. You could certainly put them in there temporarily and-re home them in a few weeks. What’s Included In A Plant Party? Everything you need! 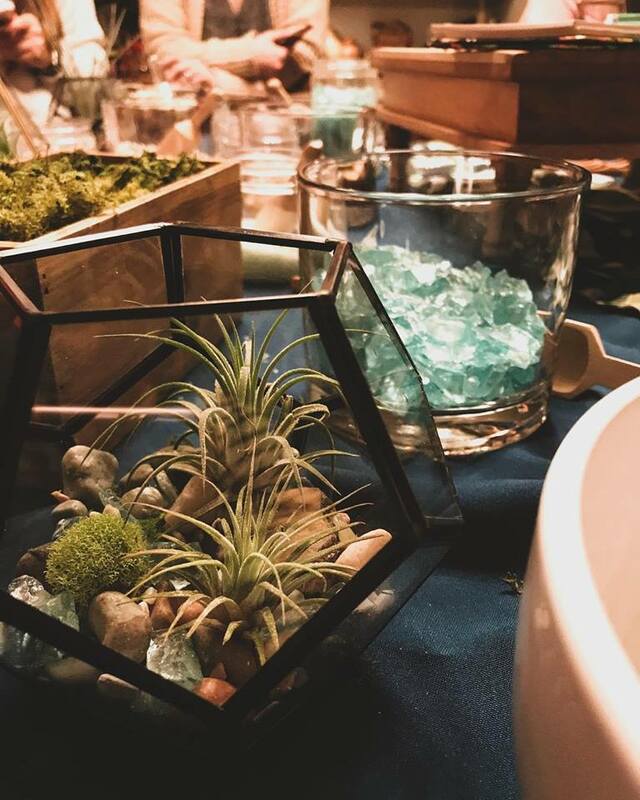 We’ll supply the plants, the fixins - rocks, moss, decorations, dinosaurs, crystals, seasonal decor and tons of options to fill up your terrarium or decorate the top of your succulent arrangement. We also bring tablecloths, tools and utensils so we wont make a mess in your home. How Do I Book A Plant Party? Shoot us a message below! Tell us how many people you’d like to bring, where you’d like to get down and party, and some dates/times. Plant Parties usually take 2 hours with set up and clean up. My House Isn’t Big Enough For All My Plant Party Guests! We hear ya! Just let us know how many people you are hosting and we can work with you to find a convenient place to host a party that will work for all your guests. How Do We Pay For A Plant Party? We take all major credit cards and cash. We’ll wrap and pack your plant creation up for you at the end of the night, your guests can pay individually then. Please complete the form below to get started planning your Plant Party!